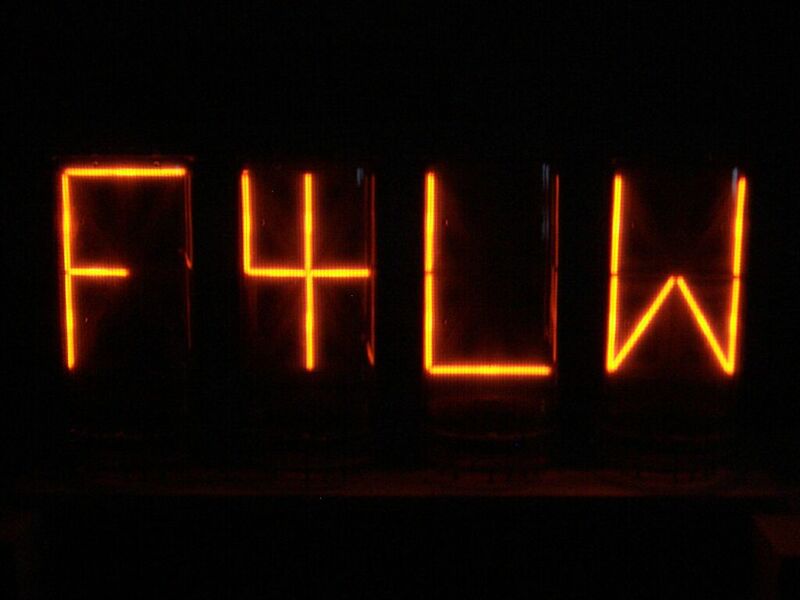 Fred's 4 Letter Word (F4LW) is a totally useless but æsthetically pleasing device displaying random four-letter words (not only the profane ones) on ancient Burroughs 7971 nixie tubes. 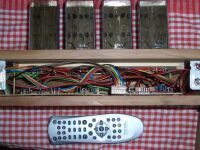 It combines 1970ies display technology with 2000s microcontrollers and software. Watching words come and go or guessing the next word in a word chain is a quite inspiring experience, especially in a dark room with a glass of fine wine. 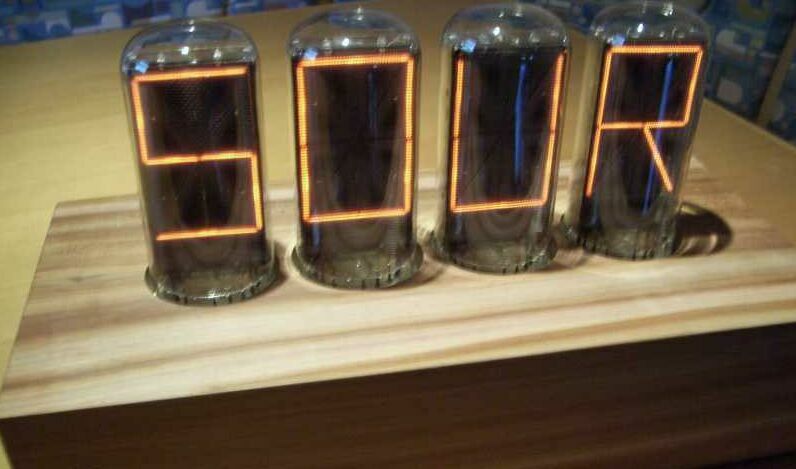 The warm orange glow of the nixie tubes further emphasizes the sensation. Perhaps an old story comes to mind again? 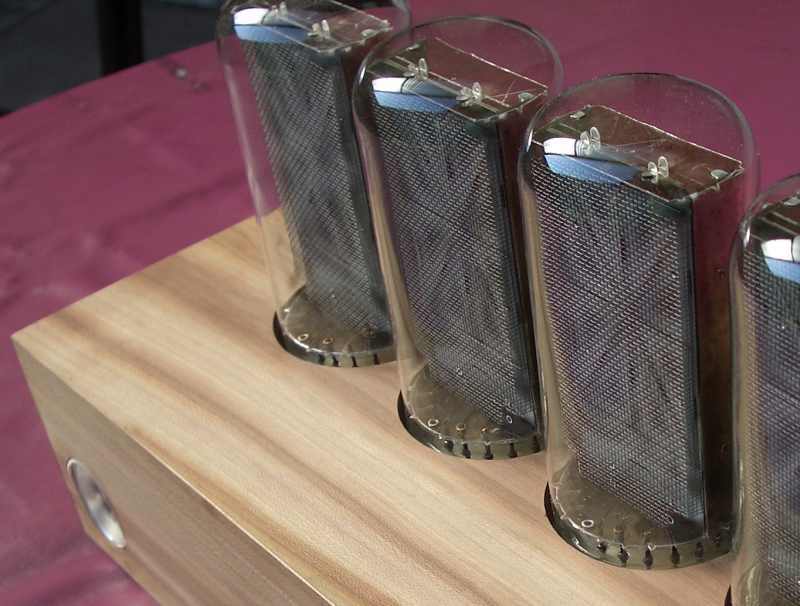 Have a look at the User Manual for a detailed description of all the F4LW's features. 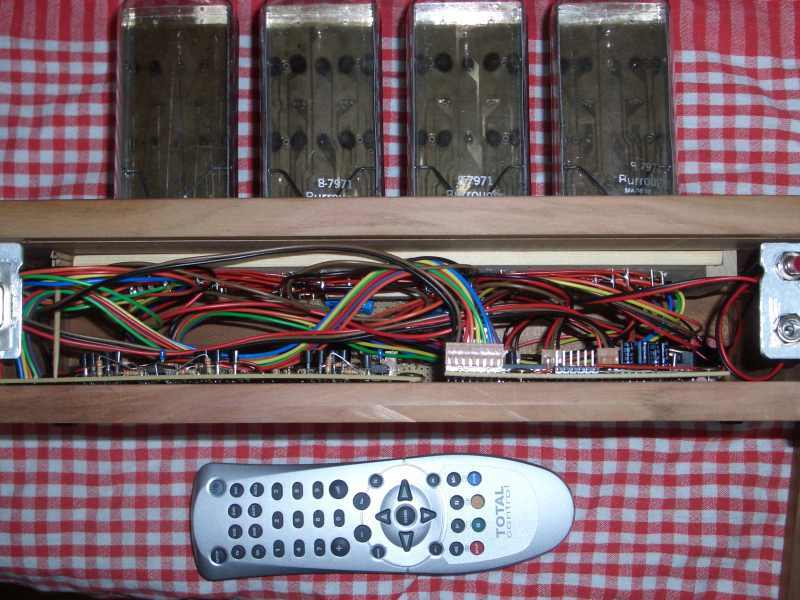 Controllable via a standard infrared remote control. Word lists can be uploaded via the RS232 serial interface. Displays word chains differing by a single character. It's a clock, too, displaying time and date, lunar phase, and sun rise/set times for your location. 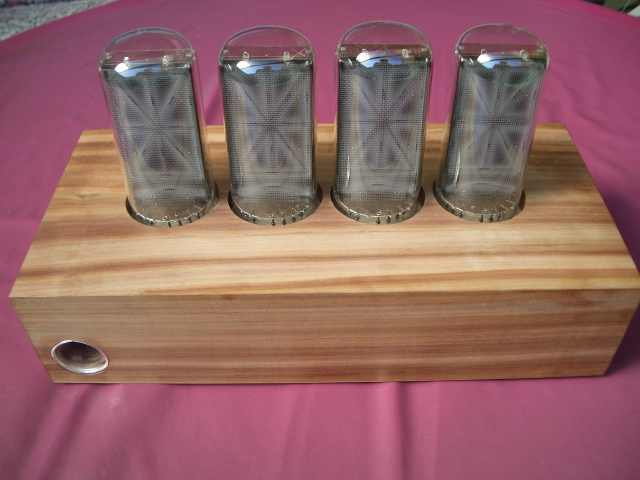 Use it as a terminal, display data received from the PC and send back remote control keys. Display and edit messages with the remote control alone. Supports the entire ASCII character set. 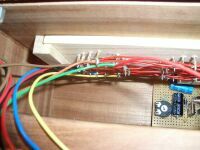 ICSP (In-circuit serial programming) port to easily change software. The case is made from solid plum wood and was designed by a friend of mine, Andreas Wrede and built by Michael Nagl. 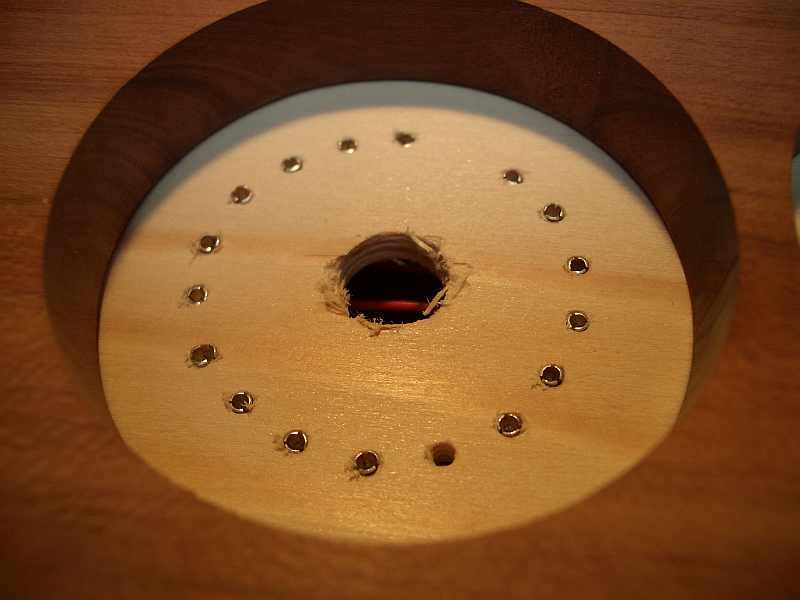 The little window on the left is for the infrared receiver and is covered with a convex piece of glass and framed with a silver ring. 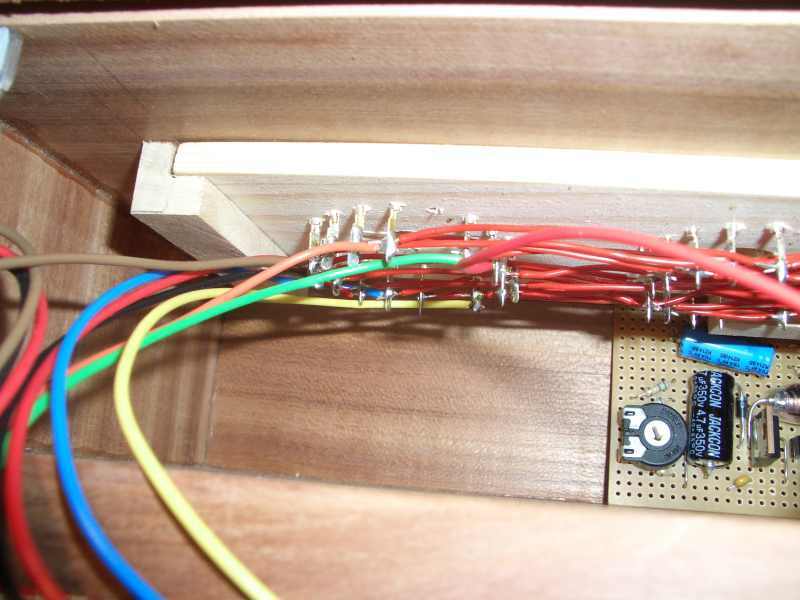 At the back side there are the power socket (12V DC), the upload button, and the RS232 socket. The cover is held by friction alone. Here some quick and dirty (unedited) videos showing the F4LW in action (still with Software V1.3, the new clock modes not yet included). Please note that the flicker in the display is caused by interferences between the tube refresh rate and the video camera frame rate (especially at low brightness) and the flicker is not visible with the naked eye. Have a look at the User Manual to see what the terms after the videos mean. A friend of mine has written a Windows screen saver resembling the F4LW (word modes only, but can take use of more than just 4 tubes) and we're currently polishing it, so stay tuned!